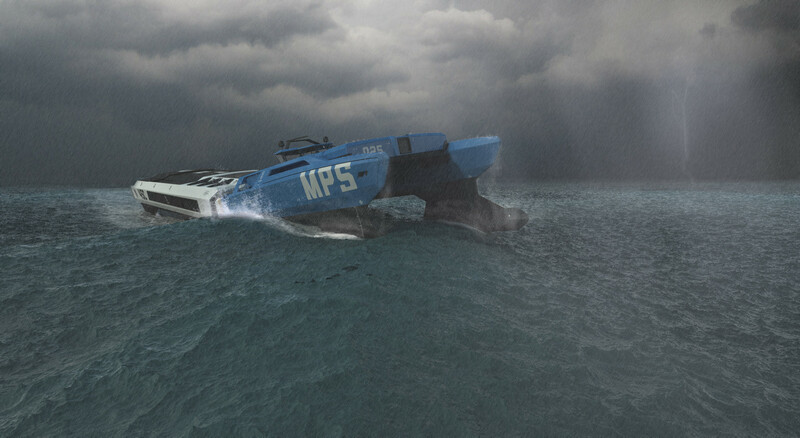 The goal of this project was to explore the future of platform supply vessels and to challenge the traditional way the maritime industry designs and uses offshore vessels. 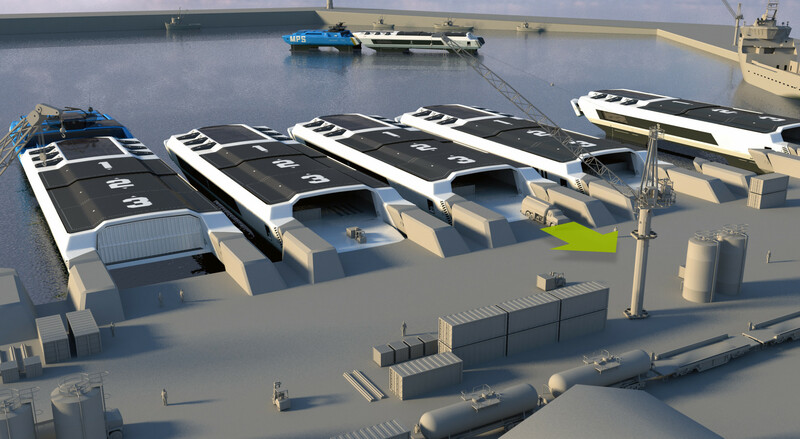 The result is a concept for a new platform supply vessel where we did explore design opportunities to increase efficiency, safety and flexibility of cargo handling. The MPS (Multi Purpose SWATH) concept is designed to be a modular platform that can adapt to a great variety of operations. The vessel itself is a minimized structure containing only what is needed to get the job done. The reduced accommodation area makes it a more efficient solution compared to today’s offshore vessel designs where a lot of dead weight is transferred around at any given time. Offshore operations often require precision work in high seas. In the future, we will experience even greater changes and more extreme weather. The SWATH-hull type (Small-Water plane-Area-Twin-Hull) used on this vessel makes it very stable in high seas and ensures comfort for the crew, and reliability even in the most demanding operations. 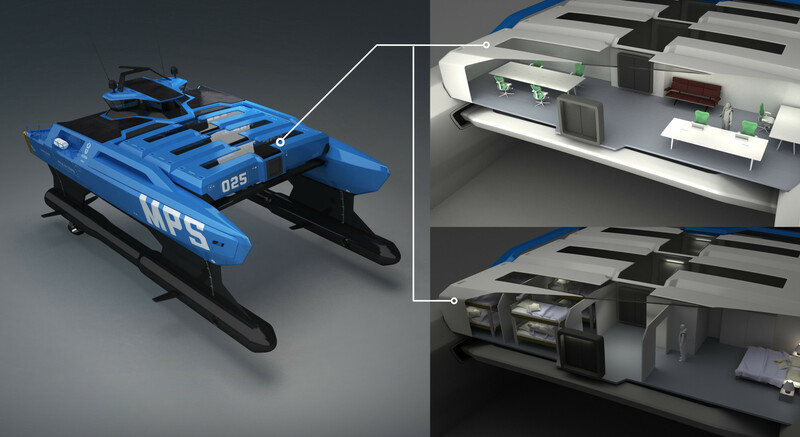 As this concept consists of a standard vessel platform, production would become much more standardized than it is today. New standardized production lines and increased use of advanced industrial robots can make in-sourcing to Norway possible. By introducing a modular platform, entry barriers for new and smaller companies could be significantly lower. Investments can be made gradually, upgrades and capacities can be increased or decreased or functions can change altogether. Modularity creates new possibilities to build and make changes to the customer’s fleet to provide operational flexibility and meet new demands. 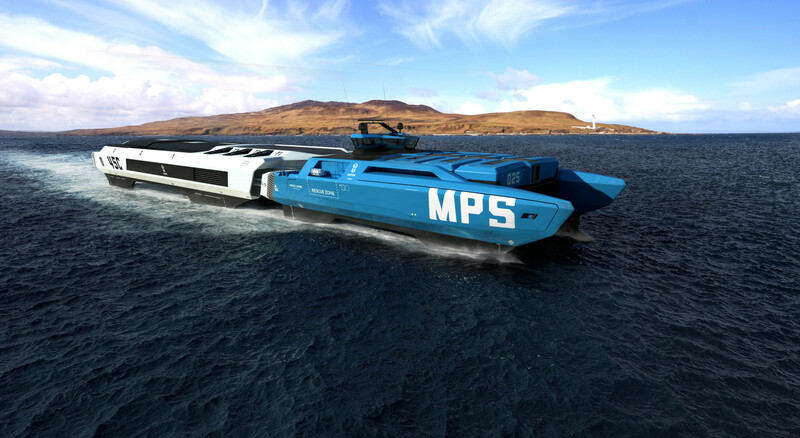 As the speed of technology accelerates, a modular vessel will let the industry follow the changes and adapt new technologies for emerging markets faster. This can for example lead to reduced emissions by implementing new fuel technologies. It can also handle increasingly complex logistics by implementing new standards for cargo handling. This lengthens the vessels lifespan because re-use and switching of owners for different types of markets would become much easier. The Future of Offshore Supply er et av mange eksempler på prosjekter innen maritim sektor. Design for offshore og maritim sektor utgjør en av AHOs forsking, for eksempel gjennom prosjektet Ulstein Bridge Concept.